Although we have always quietly been cautioned about liver potential liver damage with unwise usage (alcohol and Advil being a particularly unwise combination applicable to squash players), recent scientific resarch is even more damning of casual usage of these products. 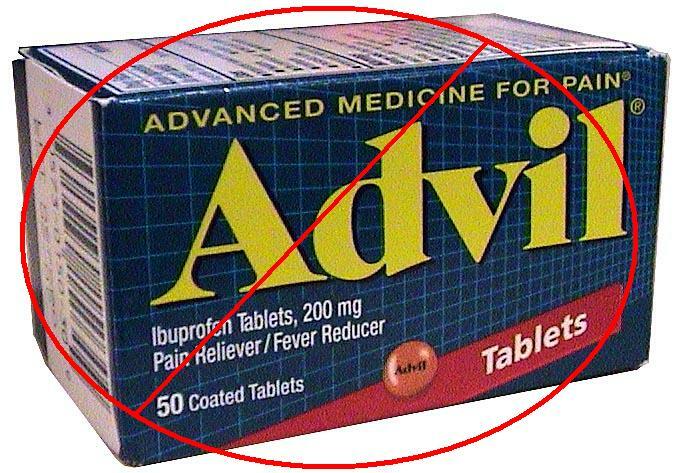 The New york Times has published a wonderfully concise and readable article about the effects of Advil that is highly applicable to the squash player and coach. To make a long story short, ibuprofen can impede the body’s natural healing and recovery processes. 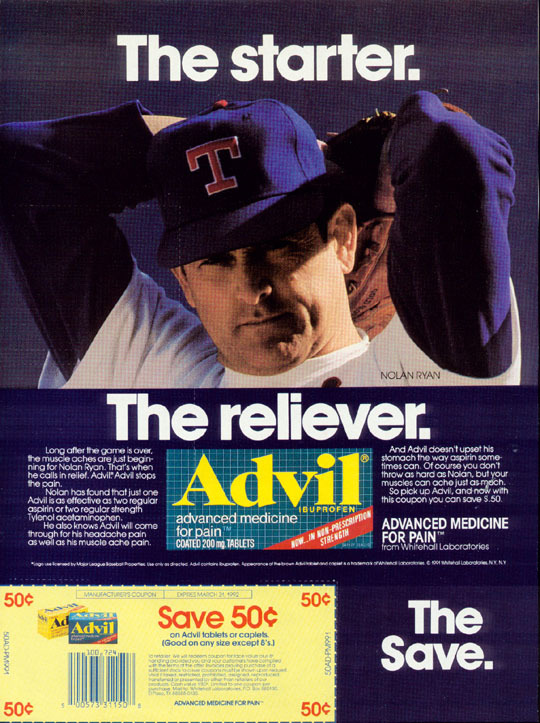 Popular culture has been promoting the use of ibuprofen as a cure-all for a long time – this advertisement for Advil is from 1991. If you would like to read a more scientific source on the same topic here is an article from the British Journal of Sports Medicine. You will find that the official Advil cautions are not very extreme (i.e., do not profer the same warnings as this article). Use (and recommend to your squash athletes) as little ibuprofen as possible – use under medical supervision for acute pain. Taking the time to do gradual progessive warm-ups and post-workout icing can take help reduce your Advil habit! This entry was posted on Wednesday, September 9th, 2009 at 5:48 PM and is filed under Sports Medicine- Injury. You can follow any responses to this entry through the RSS 2.0 feed. You can leave a response, or trackback from your own site.